For my styling course at London College of Fashion we had to create a lookbook from spring summer 2016 around a high street retailer. 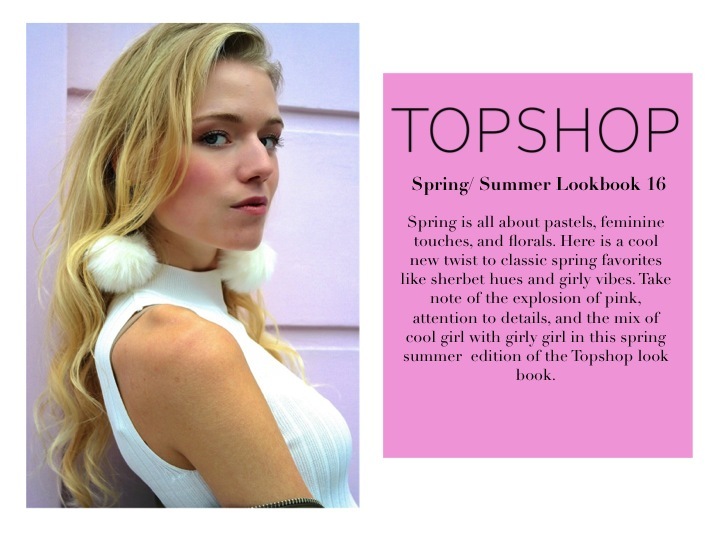 My partner and I decided we wanted to mesh the feminine trends with the Topshop cool factor as we call it. We chose tailoring, the bomber jacket, lace, sheers and ruffles, and summer fur as our key trends. Then for our accessory trends we chose shoulder duster earrings, platforms, and a bow belt. This is our final product! Enjoy!